Whisk together all ingredients except vegetable oil. For each crepe, heat 2 tsp. vegetable oil in a large non-stick frying pan over medium-high heat. Pour 1/4 cup batter in and use your wrist to rotate the pan so the batter spreads. Use a spatula to spread the batter gently into a 6-7” circle. Cook until the edges of the crepe are dry and the tops begin to bubble, then flip carefully and cook the other side until golden brown on the bottom. Transfer the cooked crepes to an ungreased baking sheet (you may need a few) and keep warm in a 200°F oven until ready to use. Parties featuring interactive foods are better than parties featuring non-interactive foods. It’s just the truth. Foods that require party guests to make decisions about fillings, wrap, roll and/or dip give people an opportunity to mix, mingle and chat. And all that really helps stir your party’s pot, so to speak. With this in mind, one of my favorite ways to get things going is to throw a DIY crepe party. All you need is a basic crepe recipe and guests with an appetite for adventure. 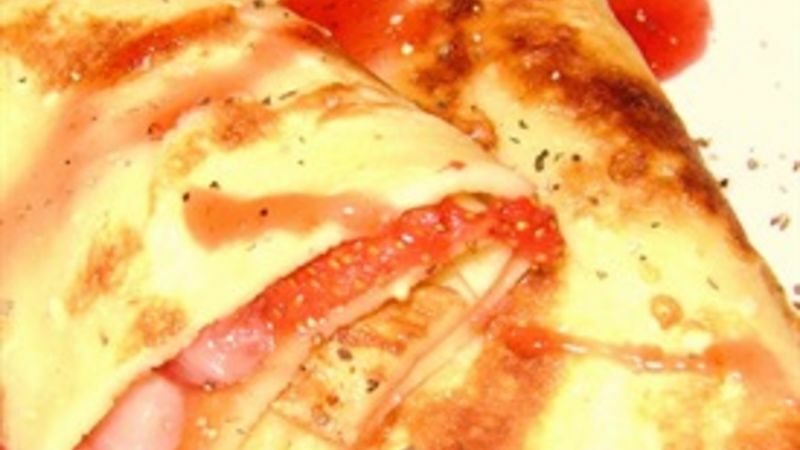 Crepes, which are essentially super-thin French pancakes, can be filled with a multitude of different items of both the sweet and savory persuasions. Yes, savory crepes are plenty good for brunch, lunch or dinner gatherings, but, in my humble opinion, dessert crepes are the simplest yet most fun way to get your crepe on. Cook the crepe pancakes in advance and keep them warm in a 200-degree oven (You can even draft your guests to help cook them, if you like). Then simply set them out, along with a plethora of fillings, and let your guests start building their own individual delicious desserts. Just add wine and music. It's good to have a lot of variety to help your guests get in touch with their "inner" French culinary side. Here are some crepe fillings that I like to serve: Fresh whipped cream Jellies, jams and marmalades Peanut butter Nutella™ Fresh cut-up fruit Chocolate chips Brown sugar Mascarpone, crème fraiche or sour cream Ice cream Caramel sauce Chocolate fudge sauce Creamy custards Feel free to be creative with your fillings! Bon appétit!